Home » Blog » What are Aligner Attachments? Do they help in Aligner Treatment? Here, we discuss about What are Aligner Attachments ? So Read it Carefully. Attachments are small bumps which are tooth colored and are placed on the tooth surfaces to bring about desired tooth movement. They come in different shapes and sizes. The need of attachments varies from case to case. They are customized for every tooth and positioned in a way so as to maximize the bio mechanical effect of the aligner. Basically, dental attachments are kind of handles to give the direction to tooth into a specified position. When a case is complex or it is tough to shift the tooth into its ideal position, the doctor puts the attachments over the tooth that required extra force to rotate or shift. Aligners grip the attachments like handles to gain leverage and achieve difficult tooth movements like rotations and extrusions. These attachments are generally tooth colored. If your doctor has planned these attachments in your treatment, it will be indicated on your treatment plan before it gets started. You don’t need to have these attachments if you have minor malocclusion. In complex cases, your orthodontist will most likely need to use some combination of attachments to achieve your perfect smile. 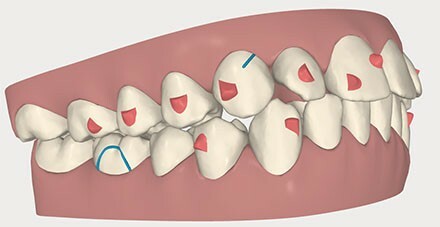 While some aligner providers prefer to trim away the unnecessary sections of aligner before seating the attachments. This can make easier to place and remove the aligners. You can compare aligner attachments with the handle of a cycle, to ride in a right direction you need to rotate your cycle handle to reach your destination. Similarly, attachments provide a right direction to the tooth to get the ideal position. What are Chewies and Outie Tools? How are Aligner Attachments Placed? To place the attachments orthodontist uses aligner template, Acid etch, petroleum jelly and other dental equipment. As per the treatment, plan orthodontist places these attachments over the specified tooth to help them to rotate in the required direction. The attachment rotates the teeth when aligner is worn by the patient. Attachments are custom made for each individual orthodontic treatment and used nowadays not only to move conical teeth but also for teeth up righting, keeping roots parallel and a lot more. Read More – Why Should you Wear Aligners for 2 Weeks or 14 Days? Helps to rotate complex tooth. It provides extra grip for the aligners. Attachments placement and removal process is painless. Can match with your teeth color which makes them invisible. It works as a supporter of the aligner to work them properly. Does not stay when the treatment gets over. Aligner insertion and removal process become difficult but you can use chewie and outie tool for this. 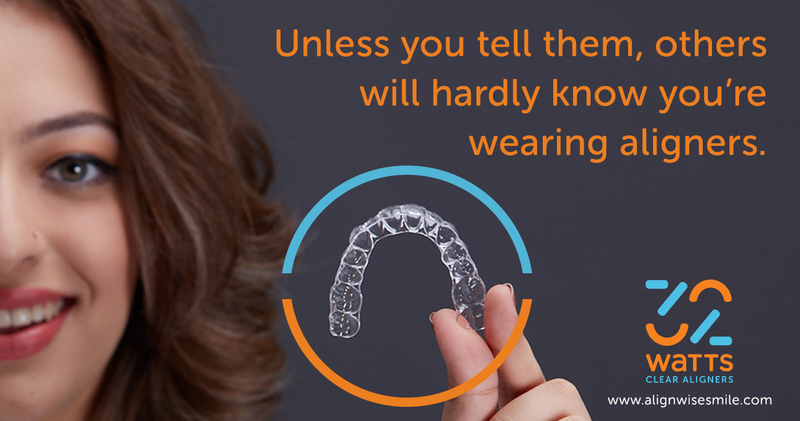 Aligners are no longer easy to pop in and out. Teeth cleaning and flossing become tough. Aligners may feel much tighter. Some patients can experience pain at the initial stage. 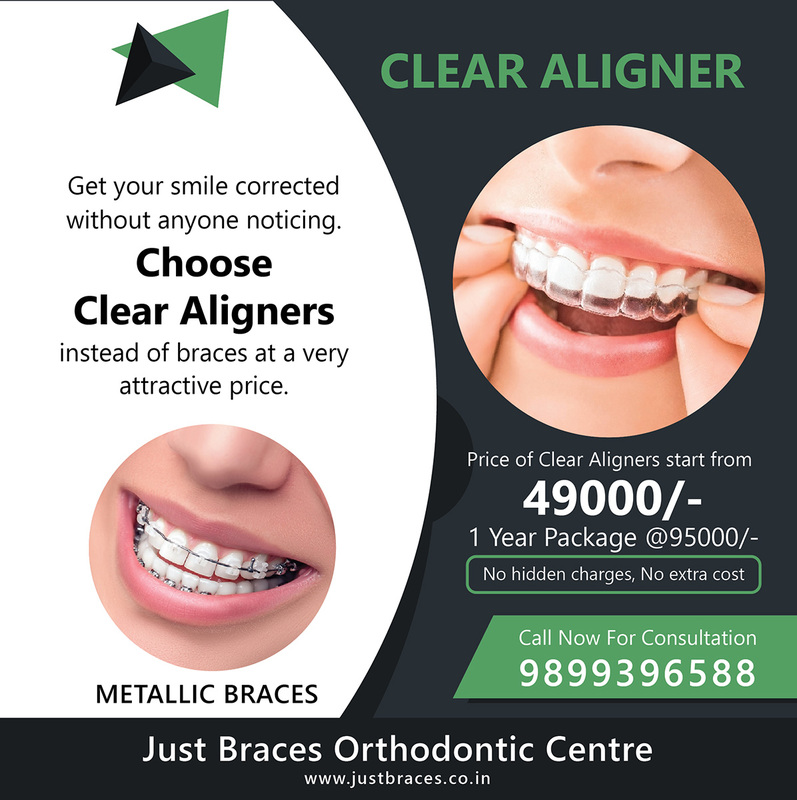 To know whether or not your mal-aligned teeth can correct through aligner with such What are Aligner Attachments. You are suggested to consult with an orthodontist who can tell you better about your treatment.